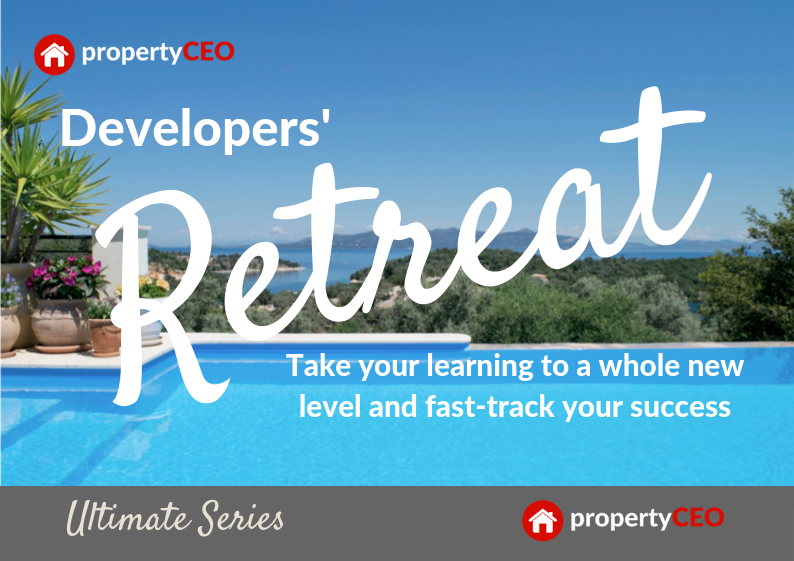 The Developers’ Retreat is the perfect way to immerse yourself in your property business without the distractions of your usual routine. You’ll be part of a small group of like-minded individuals (numbers are strictly limited) and will receive both one-to-one and group mentoring from both Ritchie and Ian. The retreat is tailored to your needs as far as possible, with the one-to-one focus being on how we can help you get the results YOU want based on your goals and where you are now. The cost of the retreat includes full board (including drinks), a private double bedroom with ensuite facilities, all excursions, and of course the mentoring itself. Rest assured, it certainly won’t be all work and no play – we’ll make sure that you have a lot of fun as well. If you would like to find out more information about the Developers’ Retreat please contact the Helpdesk at enquiries@propertyceo.co.uk quoting “Retreat” and we will get in touch.